We have Male & Female Process Servers at your request. Summons and complaint, subpoena, citation, order to show cause, writ, motion, non-payment and eviction notice, and all types of legal actions- landlord and tenant, foreclosure, collection, personal injury, surrogate court matter, family court, matrimonial, contract. usually by personal delivery to the entity to whom the documents are directed or by any other legal means. 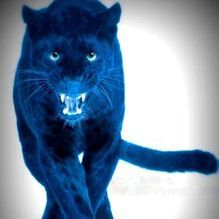 Blue Panther Process Server, can e-file and hand walk file documents and affidavits, retrieves and copies the legal documents, so-ordered subpoenas and gets Order to show Causes signed in any city, state & federal courts and County Clerks in the City of San Antonio Texas, as well surrounding counties and cities. When going to court, the original and copy of the document being filed is needed we expedite and have the latest software to get these jobs processed. We use Serve Manager to keep our clients informed of every step of the serve. Blue Panther Process server is located near the downtown area. We are the only company that does have several physical locations to hand drop any of your documents. Skip Tracing Skip - We use electronic methods to search for plates and other identifying methods. Tracing is tool we utilize to find someone who skips an address, leaving behind minimal cues to 'trace his/her location. 1st serve is done within 2-3 days and will be attempted a max of 3 times within 15 days if unsuccessful. 1st serve will be attempted 8 hours of receiving and a max of 3 times within 10 days. If documents received after 12 p.m will be processed early next business day. 1st Serve attempt within 4 hours of receiving the order and a max of 3 times within 7 days. If documents received after 3 p.m will be processed early next business day. Whats included in our Services? 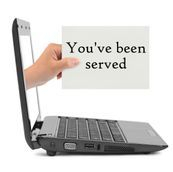 We use serve manager to keep our clients informed of all our serves. We take pictures and note all attempts and information is sent to clients via Serve Manager. Unsuccessful attempts we leave door hangers and flyers and make sure they are aware they are being served! Up fronting fees will be an additional of $25.00 per service. The difference between a Sheriff and Private Process Server is simply speed and reliability. If you have the Sheriff deliver they will simply deliver your documents to the place you have specified and charge you $85 per serve weather or not it is successful. All this on top of their other duties and obligations that is included in their job title. If the person is not there you will not know until you have contacted the Clerks office and they will advise you. Essentially 0% communications with your server.